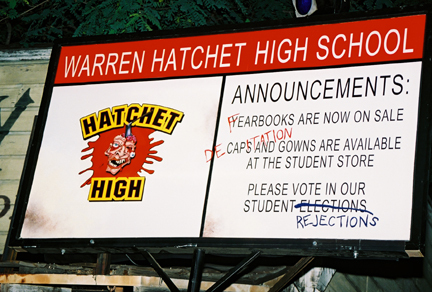 Hatchet High….Warren Hatchet High School. This maze was a great maze in the world of Halloween Haunt simply because it truly capitalized on the humor of the Halloween Haunt. Through the years, the creators of the event periodically throw in a humorous twist on what would otherwise be a frightful theme. A meteor crashed into this high school leaving the staff and students a bit….weird, to say the least. Picture toxic waste victims matched with killing desires, mixed with good ol’ high school antics and you’ll find the contents of Hatchet High. Several details (as usual for the Halloween Haunt mazes) were pasted throughout the maze. In-between the soundtrack and the scares, one would have to keep their eyes peeled to check out the writing on the walls, the titles of the classrooms, the prom set up and of course, the graduation ceremonies to soak in the full value of this maze. Our opinion? No, it was not the best maze in Halloween Haunt history, but it certainly made its way into the long line of historical mazes in the world of the event. The Mangler’s Asylum. Just take a look at this picture. The entrance alone can give you an idea of what to expect from this great maze. As one enters this spooky building, the inhabitants have made their way into the yard, and those are just a few of the figures that you’ll have to meet, face to face, once you’re inside. 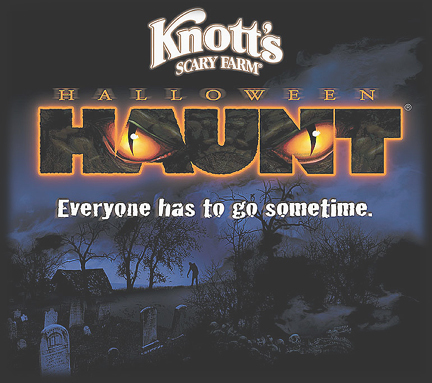 With a creepy soundtrack, disturbing scenes (wouldn’t expect anything less from the Haunt crew, now would ya? 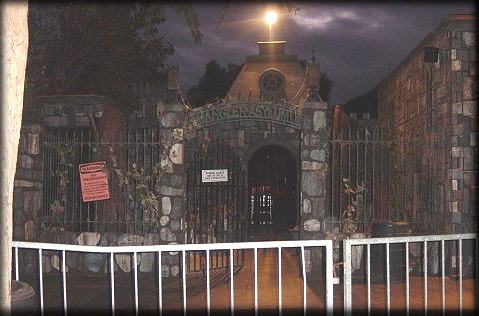 ), gory details and psycho characters, Asylum is one of the great mazes in Haunt history. It may not have been the scariest maze in the event’s 31 year history, but it was up there with the best of them with regard to a creepy vibe. The biggest scare in this maze is truly the anticipation of what is going to happen next! The characters absolutely do a knock out job in scaring the guests, but the creepiest part of the Asylum is the set up. The music, the entrance, the design of the rooms and the overall feel you get walking through this maze is just a flat out creepy mood. A strong feeling of restlessness can come over you in this maze. Perhaps, the visitors lose a bit of their own sanity as they make their way through the Asylum!